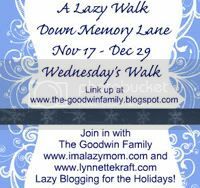 For a "Lazy Walk Down Memory Lane" today I thought I would re-post one of my first posts from when I first started blogging. I had very few followers back then and this post received no comments. I hope it will encourage and inspire some of you today. Come back here to leave your comments please...and then join in the fun by linking up with Jenilee. Just click on the button below. 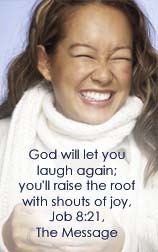 Wow, Momma Linda.....that was such a great way to look at life! I love it! I think you are absolutely right! I love this story! We sang a song (in German) when I was a teen, that had exactly these thoughts written here. God sits at the loom creating a masterpiece and all we see is the underneath. Hope you had a warm & yummy holiday celebration! Wow! 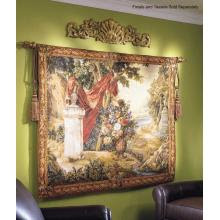 i love tapestries and you've got one beautiful piece of art. Keep on sharing because it's making my day right. Awesome post!! I needed those words today, my friend! I loved this post! I've used the tapestry example many times when people question my faith. It is oh so true and I personally can't wait for heaven to see what the other side looks like. 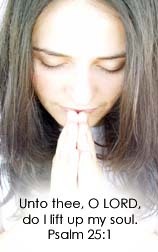 Thanks for visiting my blog regularly and mostly, thank you for praying for me and my family! Linda, You have such sweet memories! So glad you shared in a poem with us. God Can Get You Through Anything! Love Is Meant To Be Shared! Do You Look At Life Through God's Word?